Colorblock boyfriend jeans for the win. I know it's the dead of summer, but I'm already craving fall—mainly for the clothes. The teasers that I've been seeing from the fashion world, like crushed velvet, statement trenches, one-shoulder tops, plus the new outlook on denim, has me beyond ready for September. My personal style is a hint of city, a hint of beach (hence Something Beachy) and denim is my favorite staple to play around with. 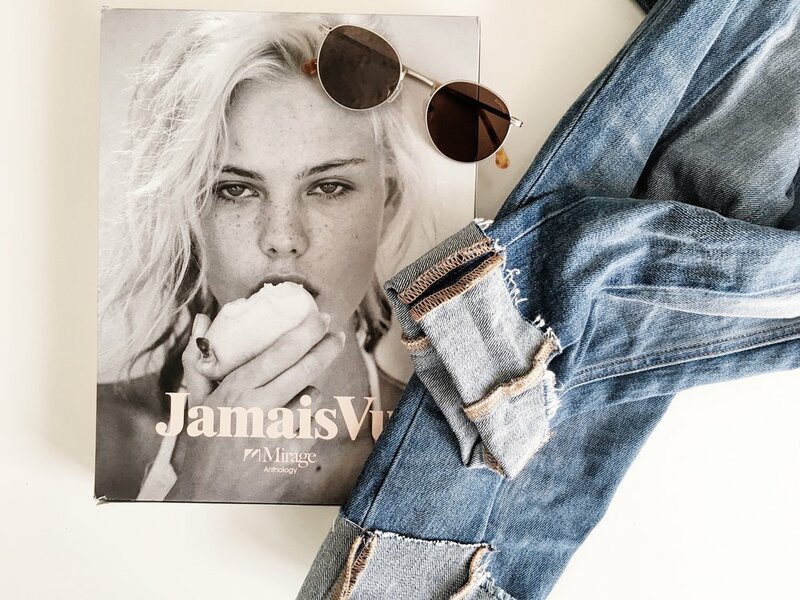 Speaking of, I recently partnered with Express to style my favorite jean look. They have an updated approach to the California classic and are killing it. But seriously, I hopped into a store recently and was blown away by their revised style and product line. They've stepped up their game in a major way! I'm especially loving color-blocked girlfriend jeans, like the ones I choose for these shots. 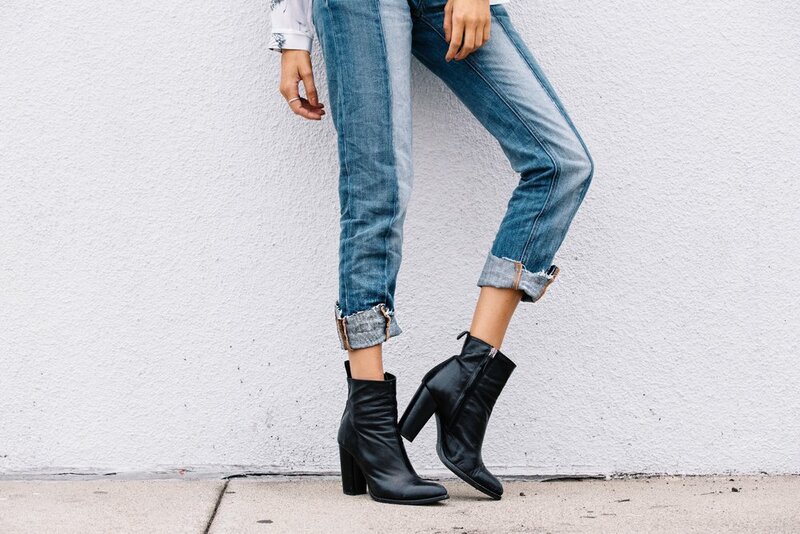 They provide a coolness that takes the mom jean factor out of some girlfriend styles. And this billowy, feminine, peasant Express Edition blouse served as the perfect complement to soften this masculine denim. I really appreciate that Express' design, cut, and fit of their jeans is ultra flattering. It can be impossible to find jeans that fit my longer legs, but I didn't have a problem when shopping there. I couldn't help myself and also picked up a velvet crop top and black lace-up bodysuit that will be in constant rotation come fall. I have a feeling I'll be back at Express real soon. Can't wait!